The long-awaited trailer of Rajkumar Hirani’s Sanju has finally arrived on the internet and it is every bit intriguing. Here are our major takeaways from the Ranbir Kapoor starrer. The long-awaited trailer of Rajkumar Hirani’s Sanju has finally arrived on the internet and it is every bit intriguing. While fans were amazed at how Ranbir had managed to look like a replica of Sanjay Dutt previously, in the trailer he proves his acting chops yet again. He nails Sanju Baba’s walk, talk and everything in between. Unlike the previous teaser, this 3 minutes clip features a lot of actual footage from the film and some of them really manage to create an impact on the viewers. Sonam Kapoor and Ranbir Kapoor in a still from Sanju. Though the idea of making a biopic on Sanjay Dutt’s life is interesting enough, speculations were rife whether or not Rajkumar Hirani will delve into those harsh realities of Sanju’s life that the latter would like to keep away from the public eye. From being a drug addict to serving jail time, Sanjay Dutt has seen it all. And despite Hirani’s propensity in making vibrant, cheery films, Sanju’s trailer suggests that he is not holding any punches back this time. The scene where the jail’s toilet begins to overflow especially stays back in your mind. A still from the trailer of Sanju starring Ranbir Kapoor. Ranbir Kapoor may have proven his sincerity in his craft previously with Rockstar, Barfi and Tamasha among others, but with Sanju the actor is definitely testing his limits. While his Mumbai lingo is simply spot on, all his Sanju avatars leave you amazed. It seems like Ranbir has paid special attention to all the little details that go into impersonating a living personality on screen. In the closing scene of the trailer, the one where Sanju is lying to Mahesh Manjrekar, it is especially difficult to distinguish Ranbir from Sanjay. 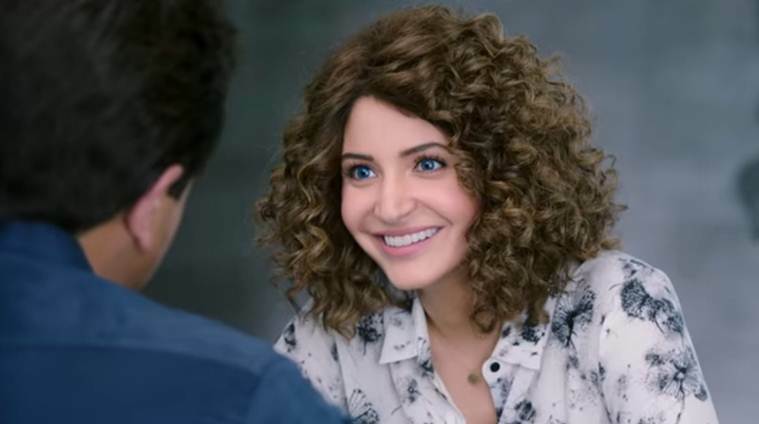 Anushka Sharma plays a journalist in Ranbir Kapoor starrer Sanju. Apart from Ranbir, even the rest of the cast manages to strike a chord with audiences. While Paresh Rawal is amazing in representing how much Sunil Dutt believed in his son, Vicky Kaushal nails his spunky act as Sanjay Dutt’s best buddy. The fleeting appearances by Manisha Koirala as Nargis Dutt, Dia Mirza as Maanayata Dutt and Sonam Kapoor as his love interest are not to be missed. One thing that the trailer also made clear was that Sanju is going to be one emotional roller-coaster ride for Bollywood enthusiasts. While Sanjay Dutt’s life fits the bill for being one of the most controversial ones ever, the trailer is a medley of comic and intense sequences. From Munna Bhai moments to the Mumbai bomb blasts trial, Sanju explores every inch of Sanjay Dutt’s crazy adventurous life. What time is the Royal Wedding?